To bring you an update on the Bi-annual Dewey's Read-a-Thon. It is coming on October 18, 2014 and a few warm up posts have been put up already. The premise behind this post is that we might consider choosing one or two books to focus on for the read-a-thon instead of building a huge stack of shorter books for the day. I tend to lean more toward the one book approach so this was easy for me. I have chosen a book by an author that I have read three other books by and loved. 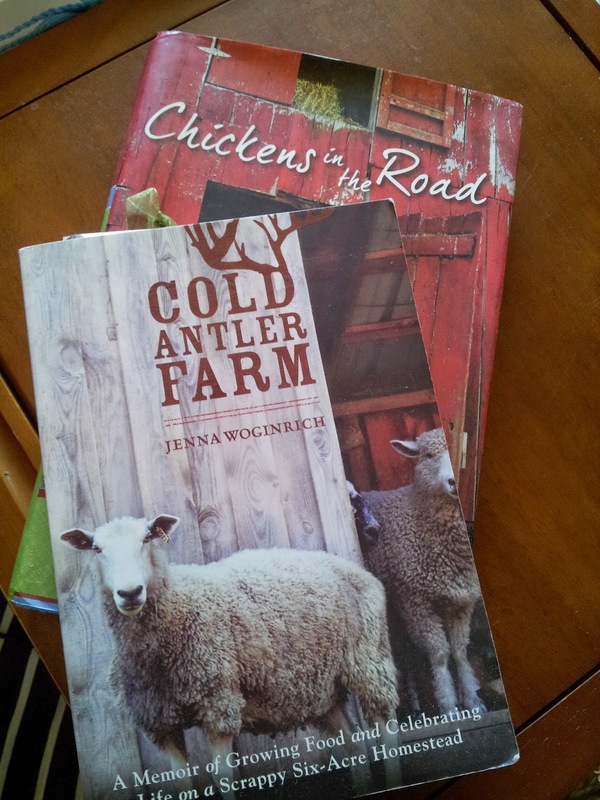 She is a homestead blogger named Jenna Woginrich and I have her newest book (Cold Antler Farm) in my stacks so I am pulling it for this challenge. She blogs at Cold Antler Farm blog. I also have a backup book from a blogger I enjoy reading. Her name is Suzanne McMinn and her blog and book go by the same title... Chickens in the Road. 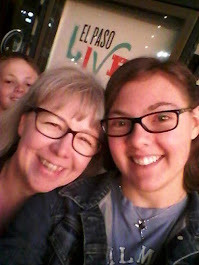 She is a former romance novelist turned homestead blogger and author. She tells great stories! * I will spend time cleaning the house a few days before so that I don't have to think about any of that during the day. * I will still attend my Korean Class and a band contest that day so I will have a book in hand as I go to each for reading during downtime. * Other than that I will try to check into the blog and do a few challenges. I probably won't be doing as many as last time just because of my schedule for the day. Reading Around Work - encouraging us to read every day. and Advice for Newbies - Some great advice and room to share tips if you have done this before in the comments. Last time, I was going through the Game of Thrones series - enough fodder for a week of Read-a-thons. I'd intended to use Stephen King's 11/22/63 this time around (800+ pages), but I started reading it already, and I'm sailing along (it's been a while since I've read any of his stuff, and I'd forgotten how well the man can write). Otherwise, we are on the same wavelength, though I can pretty much ignore the cleaning by visiting various coffeeshops. I think I read for close to 14 hours last time; I'd like to hit closer to 16 this time, but I do like my sleep. I'm going to make and freeze some soup to have for lunch, make sure there is fruit for snacks, lots of ice for water and the 80-some books on the Kindle to chose from, plus the Mitford Bedside Companion in paper for fun. I am kind of tempted to start my books a little early, too, but I picked up another one to keep me distracted. LOL It is one I have been meaning to read so I need to anyway. I am working as a caregiver a couple of days this week but will try and get some cleaning done in the off days. I just want to sit and read but I will have Korean class and a band contest in the morning but the afternoon and evening should be mine. My youngest will be reading with me. He is working on Narnia but if he finishes by Saturday I have a new book to give him to read. He will be so excited! If he does not finish I will save that book for a later gift.